The debate over marriage equality in France is reaching a fever pitch, and has sparked several incidents of violence and vandalism targeted at the LGBT community. 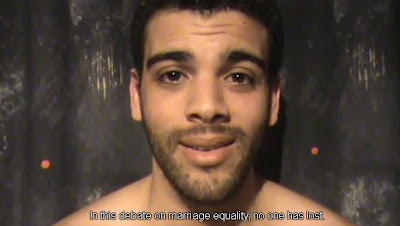 Gorgeous French filmmaker Mike Fédée has this message to French people afraid of marriage equality and it is beautiful. It’s in French, of course, but if you hit the CC button, you can see English subtitles. Check it out after the jump.